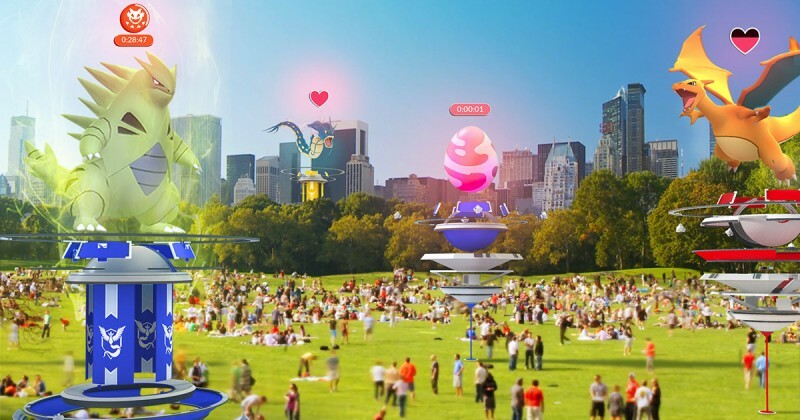 Pokémon Go captured the world when it launched in summer 2016. 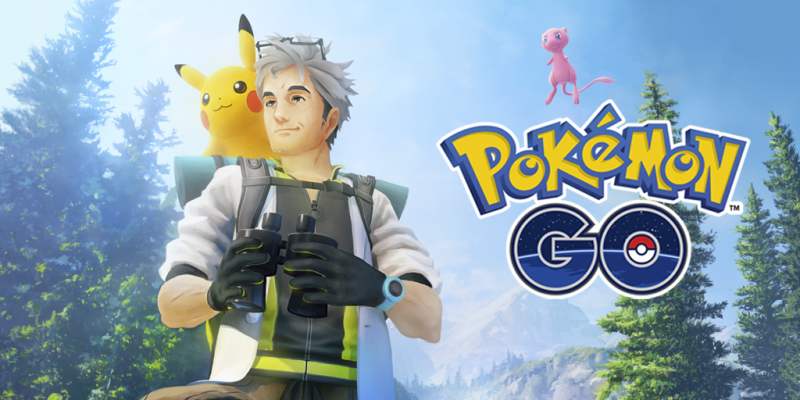 Beyond the excitement of traveling to new locations to catch monsters and meet like-minded trainers, one of the things that made Niantic's collaboration with The Pokémon Company so interesting was the mystery that surrounded nearly every element about the game. The mystery was thrilling at first, but after a while, being in the dark wore on users of the app, and they decided to do something about it. Players scoured their local areas, data-mined the app, and started crowd-sourced sites on where to find the best monsters and how to be the most efficient trainers they could be. Each time a new major update hits, the sense of mystery in Pokémon Go is reinvigorated. 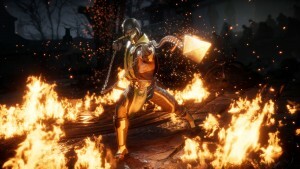 However, thanks to the methods discovered and created by players in the original release, light is shed on each successive update quicker than ever before. 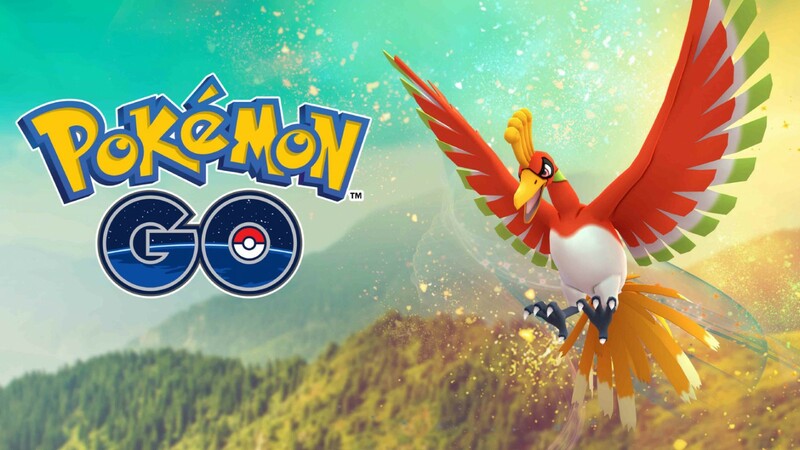 Check out the latest information on Pokémon Go below, and if you have anything you think would be helpful to add, let us know in the comments section. People still play Pokémon Go? Yes. Lots. 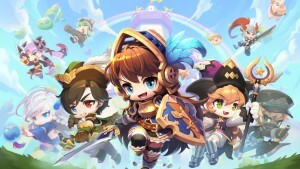 After an initial boom when the game launched in July 2016, the mainstream hype died down. However, a dedicated (and sizable) player base has remained. As recent as June 2018, Pokémon Go was in the top 20 free games on the iOS App Store. 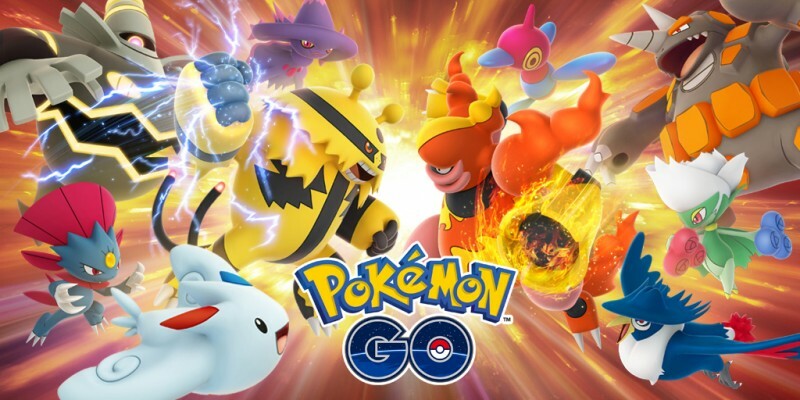 In May 2018, games and interactive media researcher SuperData reports that Pokémon Go was the fourth highest grossing mobile title in the world, beating out juggernauts like Clash Royale, Clash of Clans, and Candy Crush Saga. That same report states that summer 2018 saw Pokémon Go hitting its highest player count since 2016 when the game exploded into the mainstream. In addition, in September 2018, Niantic CEO John Hanke stated that, "tens of millions of Trainers around the world played Pokémon GO together every month, with a 35% increase in active usage since May." Well, I've never played it. How do I start and what should I focus on at first? Well, all you need to do is download it on the iOS App Store or the Google Play store. It's a free app with optional microtransactions. Once you're in, you'll be asked to choose a starter Pokémon. You can choose between Bulbasaur, Charmander, and Squirtle, or do a secret trick to get Pikachu as your starter. Once you're up and running, simply walk around and start catching things that you encounter and spinning the disks of each PokéStop you stumble upon to earn items. Each new monster brings you one step closer to filling up your Pokédex, which is, for many, the ultimate goal of the game. Each time you catch a Pokémon, you earn candies, which can be used to evolve some Pokémon or, when combined with stardust, power them up. I'd recommend holding off on powering up any Pokémon until you get to a higher level, as each time you level up your profile, you are able to catch more powerful monsters. Until then, just save up your candies not used for evolution and stockpile any stardust – you'll love having an abundance of stardust later on when your monsters are ready to take on gyms. For more on gym battles read below. In summer 2017, Niantic reworked the gym system to get rid of the need to train in order to earn more slots. Instead, each gym has six permanent slots available to whatever team controls it. When you interact with a gym for the first time, you gain a gym badge, which levels up based on your interactions with that particular gym. In addition, each Pokémon now has a stamina meter, which depletes over time or any time that creature loses a battle against a rival team. The stamina directly impacts that Pokémon's CP, meaning that a less motivated Pokémon is less effective in battle. When the Pokémon's stamina meter reaches zero, it returns to its trainer after its next battle. Players with Pokémon that are losing motivation to battle can replenish their stamina by feeding them berries. Each berry slightly increases the Pokémon's stamina meter and awards the trainer with 20 stardust. Each gym has has also added a PokéStop disc to spin. If your team is in charge of that gym, you get bonus items. You also earn more items the higher leveled your badge is for that gym. The first time you visit a gym PokéStop each day, you earn a free raid pass if you don't already have one in your inventory. For our impressions on this iteration of the gym system, head here. What's a raid and how do I get a legendary Pokémon? Occasionally, extremely powerful raid bosses take over a gym. This is signaled by the creature appearing on top of the gym with a timer above its head. Within that time limit, you can trade in a raid pass (you get one free raid pass per day as outlined above) to battle that creature. These aren't your typical monsters, however. These bosses are supercharged to require multiple players most of the time. That means that instead of facing a Tyranitar with 3,000 CP like you would in a standard gym battle, the Gen 2 leviathan is even larger in size and features a ballooned CP of over 30,000. 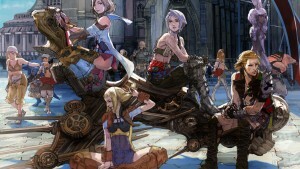 Depending on the difficulty of the raid boss, you'll want to join up with a group of players. You can bring up to 20 players into the same battle against the boss, but you don't always need that many. For level 1 raid bosses, you can likely take them down on your own, while you probably want a handful of players for level 3, and anywhere from 9 to 20 for level 5 bosses. In addition, Niantic now has exclusive raid battles where you must receive a special invitation in order to participate. The invitations are based on if you have completed a raid in the gym that the exclusive raid boss is taking over. Because of the exclusive nature of these battles, trainers are given additional notice so that they can gather a big group of players. The first exclusive raid boss is Mewtwo, but other powerful creatures will join in the future. Each player brings a team of six Pokémon they select during the two-minute waiting period in the lobby. While the game typically recommends creatures, those are usually not the best options. Pokémon like Blissey and Snorlax might have high CP and stats, but that's mostly thanks to their defense. Instead, look for Pokémon that don't only have more offensive abilities, but also play into the weakness of the raid boss. For example, if you're facing off against Arcanine, a fairly strong water Pokémon fares better than even a high CP Blissey. Save your Blisseys for defending gyms. If all of your Pokémon get knocked out, you can rejoin the battle as long as you're within the time limit. You can either select a new team or quickly use healing items to revive the ones that were just defeated. 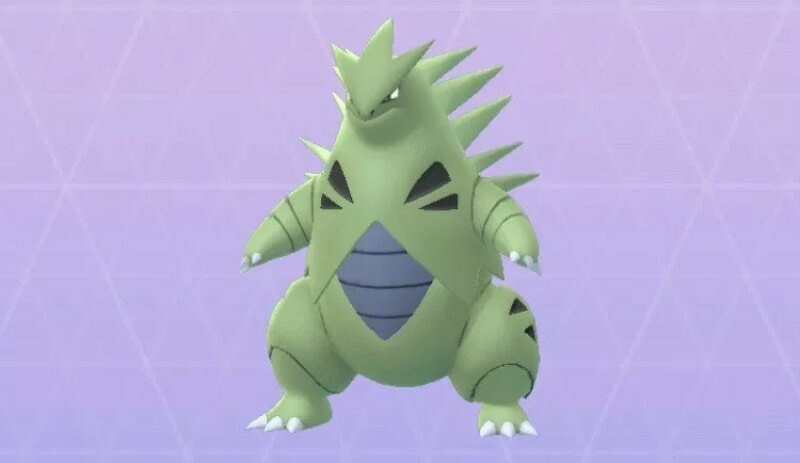 If you manage to defeat the boss, it shrinks down to normal size and more normal CP; the over-30,000 CP Tyranitar shrinks down to just over 2,000 CP. You earn raid-exclusive items like rare candy and TMs. Rare candy can be exchanged for a candy for any Pokémon of your choosing, while Fast TMs and Charged TMs re-roll a Pokémon of your choosing's fast and charged move, respectively. Based on a number of variables including how much damage your team dealt, whether your team currently controls the gym the raid is taking place at, and how much damage you dealt, you earn Premier Balls, which are used to try and catch the raid boss. The higher you get in the tiers, the more difficult the raid bosses are to catch. Legendary Pokémon in the fifth tier are particularly difficult to catch, so you absolutely want to use Golden Razz Berries and try your best to be accurate with your throws. If you manage to catch the raid boss, it becomes your Pokémon and you earn some candy for that creature. You are free to do with the Pokémon what you wish. However, the only catch is that you are unable to station legendary Pokémon in gyms. What are quests and how do I get mythical Pokémon like Mew? 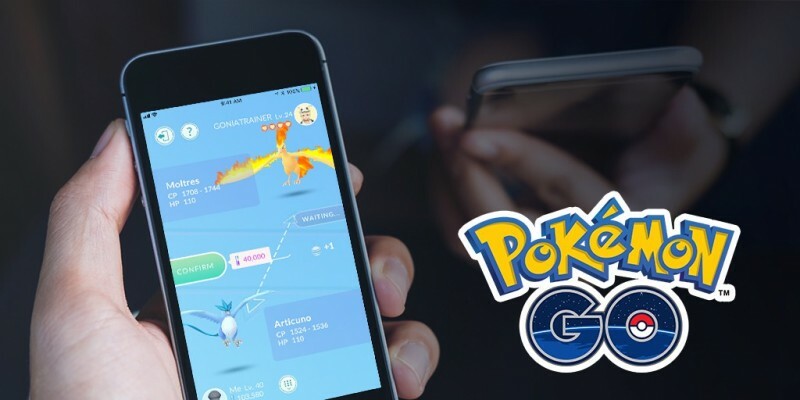 In March 2018, Niantic introduced Research Tasks to Pokémon Go. These are split into two categories: Field and Special. Field tasks are often simple and can be easily completed without going too far out of your way. Redeeming these field research tasks yields you either item bonuses or an encounter with a Pokémon. Once you complete a field task, you can redeem them toward research progress. You can only earn one stamp per day, but upon completing seven daily field research tasks (they don't have to be consecutive days), you earn an encounter with a super rare Pokémon. The special research tab tracks your progress toward catching a mythical Pokémon. The first Pokémon offered is Mew. While most of the quests are rather straightforward, some have some quirks you should be aware of. If you're close to evolving a Magikarp into Gyarados, hold off until you reach Stage 6 of the questline, as that is one of your tasks. It's an easy one to complete if you have the candies, but if you don't, it can be quite the grind since Magikarp requires 400 candies to evolve. For the quests that require you to battle in raids, all you need to do is trade in a raid pass for it to count. This means that if you're pressed for time, you can just trade in your raid pass and then leave to get credit for it. Practice throwing excellent curveballs, as that is one of your final tasks before encountering Mew. Once you reach Stage 8, all that's left to do is catch Mew. At Pokémon Go Fest 2018 in July, attendees could complete exclusive research tasks to earn Celebi. 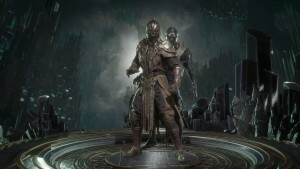 In August 2018, the questline (with different quests) released to the general public. Step 2 requires you to make three new friends. If you don't have anyone else you can add, putting out a call on social media or on the Pokémon Go Reddit often works well. Steps 4 and 5 require you to walk Eevee for 10 km and evolve it into either an Espeon or Umbreon. Depending on how often you walk with Pokémon Go, this could take a while. It's important to remember that in order to get Eevee to evolve into Espeon or Umbreon, you must still have them as your buddy after walking 10 km with them. Eevee turns into Espeon if you walk 10 km with it, then evolve it during the day, while walking 10 km and evolving it during the night will yield an Umbreon. Step 3 brings back everyone's favorite objective: Catch a Ditto. See above for tips on completing this frustrating task. Step 5 asks you to evolve a Grimer, so if you have one to evolve, save it for this quest. Step 8 requires you to catch an Aerodactyl. Unfortunately, those are extremely rare in the wild. Look for them to pop up during raid events, or find a "Hatch Two Eggs" quest that rewards you with a wild encounter. If you own a Switch and a copy of Pokémon: Let's Go, Pikachu or Let's Go, Eevee, acquiring Meltan is easier as you can link the games together and receive several Meltans every week. 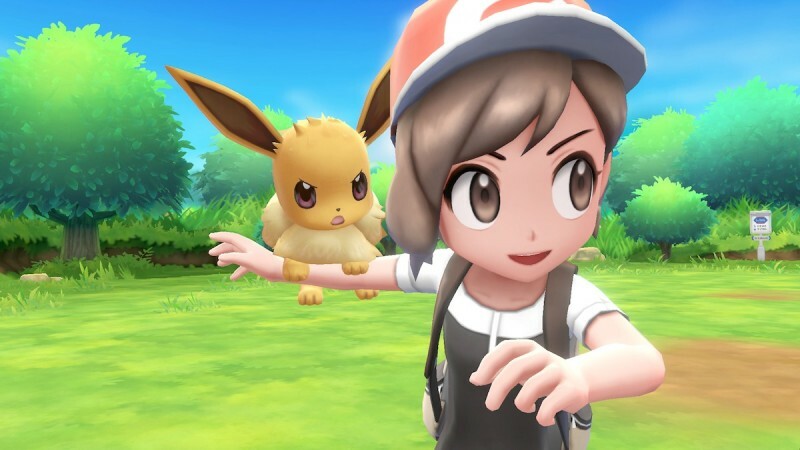 What is Pokémon: Let's Go, Eevee and Pokémon: Let's Go, Pikachu? How does it interact with Pokémon Go? Let's Go, Eevee and Let's Go, Pikachu are Nintendo Switch games that released on November 16. The games are set in the Kanto region from Pokémon Red, Blue, and Yellow. The games take other elements from Yellow in having your starter Pokémon be either Pikachu (your starter in Yellow) or Eevee (your rival's starter in Yellow), and designating a Pokémon to walk with you outside its Poké Ball. 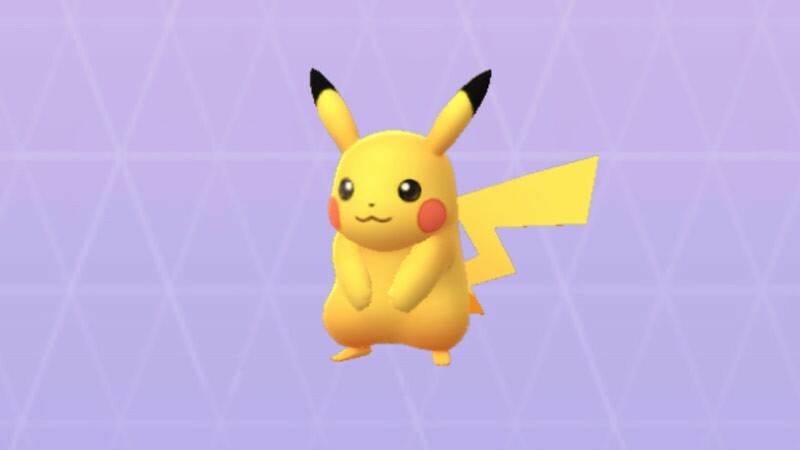 Pokémon: Let's Go, Eevee and Let's Go, Pikachu feature many elements of the core games, but capture mechanics like Pokémon Go. Instead of using a touchscreen, however, you use the motion controls of the controllers to fling your Poké Balls. You can also play the games in handheld mode, minimizing the motion controls. Two players can explore cooperatively at the same time, and even throw Poké Balls at the same time to make capturing easier. Players can also use a new Poké Ball Plus accessory, which is sold separately and doubles as a replacement for the Pokémon Go Plus accessory outside of the Switch games, instead of the Joy-Con controllers. You can read our review of Pokémon: Let's Go, Pikachu & Let's Go, Eevee here. If you connect your Switch and Pokémon Go accounts, you can transfer Gen 1 Pokémon from Pokémon Go to Let's Go, Eevee and Let's Go, Pikachu. You do this by linking your Switch with your Pokémon Go account in the options section of both games, then initiating a link in the Go Park in Fuchsia City (since Fuchsia City is rather late in Let's Go's story, you'll need to play for many hours before you can do this). You can transfer any Gen 1 Pokémon (including shiny Pokémon). The only exceptions are the event Pikachus and Raichus with special hats. Any Pokémon you transfer from Pokémon Go is stuck in Let's Go forever, so make sure you don't send one of your favorite raid monsters over. Regardless of which Pokémon you send over, you receive a Mystery Box in Pokémon Go in exchange for your transfers. You can receive a new Mystery Box seven days after opening your last one. When you activate the Mystery Box in Pokémon Go, Meltan spawns all around you for 30 minutes. The Mystery Box acts much like an Incense, meaning only you can see them; other trainers in the area will not be able to participate. What's the deal with in-game weather? In its December 2017 update, Niantic added a new mechanic where the weather in the game mirrored the weather around you. While this makes for new environmental backgrounds and a change to the map your character traverses, it also affects which Pokémon appear more commonly. If you see a Pokémon spawn on the map with a swirl pattern beneath it, that means it is a result of the new weather mechanic and that if you catch it, you receive an additional 25 stardust. The weather system also makes the affected Pokémon stronger in battle. For instance, on a clear day, not only will fire Pokémon appear more commonly, but their attacks are also more effective if you take on a gym or raid. Check out which types are made more common and stronger in the list below. Where can I find a specific Pokémon? Due to the nature of Pokémon Go's spawns, there is unfortunately no reliable way to tell you to go to a specific spot to always catch a specific Pokémon. 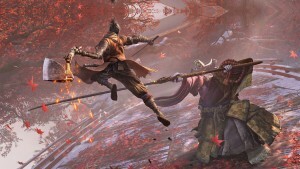 However, many monsters do "nest" in the game, meaning that if you go to a particular spot while their nest is located there, you're likely to catch several of that monster. Nests are not mentioned in Pokémon Go itself, but you can find out what nests are around you (and even search on specific species of Pokémon) using The Silph Road's Nest Atlas tool. This tool features reliable crowd-sourced information from Pokémon Go players all over the world who report the nests they encounter. If you find an accessible nest of a creature that you need, it's not a good idea to wait. Nests migrate approximately every two weeks, which means many of the nests near you will be replaced by another creature. The silver lining is that the Weedle nest next to your house could very well become a Kabuto nest for a couple of weeks. Just like in the mainline Pokémon games, some monsters can only be found in certain regions. 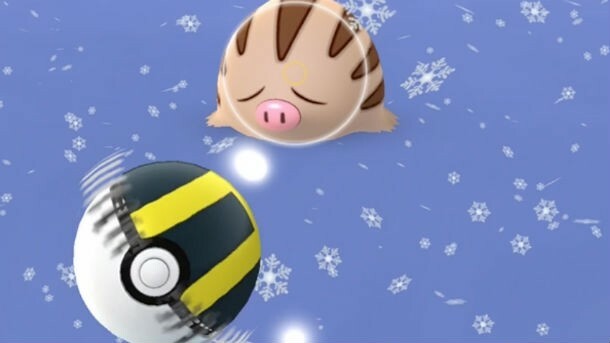 While Niantic has remained steadfast in keeping some the regional exclusives just that, it has bent the rules in some select instances like Pokémon Go Fest in Chicago where Heracross appeared one year, then Torkoal the next, and the European Safari Zone event. 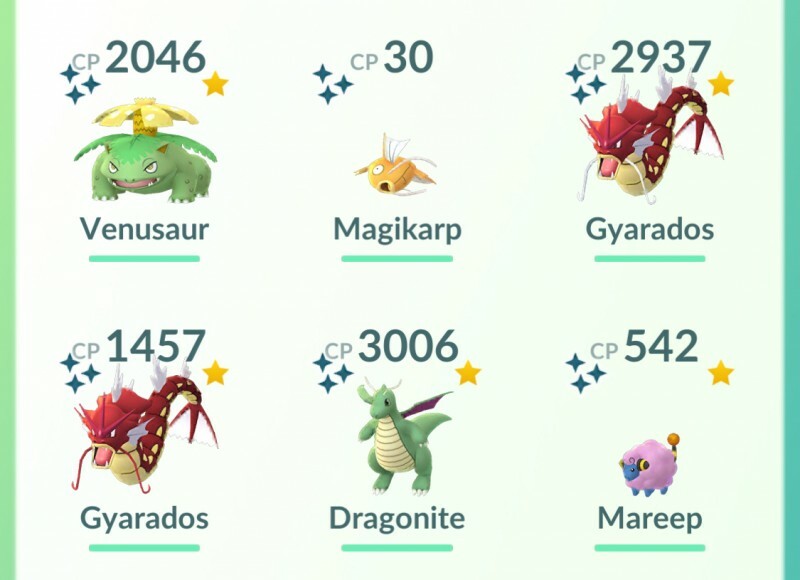 In September and October 2018, Niantic also ran an event where you could hatch Gen-1 regionals from 7km eggs. Check out the full list of known regional exclusives below. What do I get from eggs? If you can't find a particular Pokémon, sometimes the best way to find it is to leave it up to the roulette that is hatching eggs. You get eggs from PokéStops and can hold up to nine at a time. In order to hatch eggs, you must equip an incubator and walk the distance required for the type of egg it is. Each trainer is provided one incubator that can be used an infinite number of times. Additional incubators can be earned through leveling up (though that becomes much rarer at higher levels), but the easiest way to get more incubators is to buy them for 150 Pokécoins each in Pokémon Go's in-app shop. Unfortunately, every incubator earned or purchased outside of the original one can only be used to hatch three eggs. A popular strategy is to use limited-use incubators on 5km and 10km eggs, while only using the unlimited-use incubator every trainer has on the multitude of 2km eggs you're sure to encounter. This will ensure you don't burn through your premium incubators on eggs that not only hatch quickly, but are also less likely to yield anything good. In addition, the higher the egg distance, the more candy you'll receive for the Pokémon that hatches. These eggs look different based on how far you must walk to hatch them. 2km eggs are colored with green spots, 5km eggs feature yellow spots, while 10km eggs have blue spots. While it might sound like you'd only want 2km eggs so that you can burn through them and gather as many Pokémon as quickly as possible, the higher the distance required by the egg, the better the pool of Pokémon is that can hatch from it. You cannot acquire regional-exclusive Pokémon from eggs not found in those regions, and stats have shown that if you visit the same PokéStops every day, you'll likely hatch the same handful of Pokémon each time. In addition, only the most basic form of that Pokémon's evolution chain is able to be hatched, meaning you'll never find a Tyranitar or Dragonite in your eggs, but rather those Pokémon's pre-evolution forms, Larvitar and Dratini. Beginning in June 2018 with the introduction of friend gifts, a 7km egg was introduced. 7km eggs are only obtainable by receiving a gift from a friend when you have at least one egg slot open. At their introduction, 7km eggs hatch Alolan variants of Kanto Pokémon. The list of Pokémon that hatch from that has since fluctuated through limited-time events. To see what species of Pokémon come from each egg type, check out the most recent list below. A ton of Pokémon from previous generations evolve in Gen 4, right? We've seen Pokémon from Gen 1 get new evolutions in Gen 2, and Gen 4 is a huge one for new evolutions of preexisting monsters. Here are the Pokémon from past generations that evolve during Gen 4. For many of these evolutions, you need a Sinnoh Stone and a significant amount of candy. Check out the Evolution Items section of this guide for complete details. How do I get coins and what do they do for me? If you're trying to fill out your Pokédex, your best bet is probably to spend your coins on incubators, though a storage/bag upgrade or two will make things much easier on you. Lucky Eggs are good for if you're trying to up your player level, and Lure Modules are good for if you like hanging around an area with a PokéStop for at least 30 minutes. Poké Balls are often looked at as the worst value in the shop unless you rarely visit an area with multiple PokéStops, or you are in desperate need of some. You earn coins by placing your Pokémon in a gym. For every 10 minutes your Pokémon occupies a gym, you earn a Pokécoin. However, you do not receive those coins until your Pokémon is knocked out of the gym. In addition you are capped at earning 50 coins per day, so it doesn't matter if you have one Pokémon in a gym for 10 hours, or Pokémon spread across seven gyms for weeks on end; if they get knocked out on the same day, you're only getting 50 coins total. Alternately, you can purchase coins using real money. 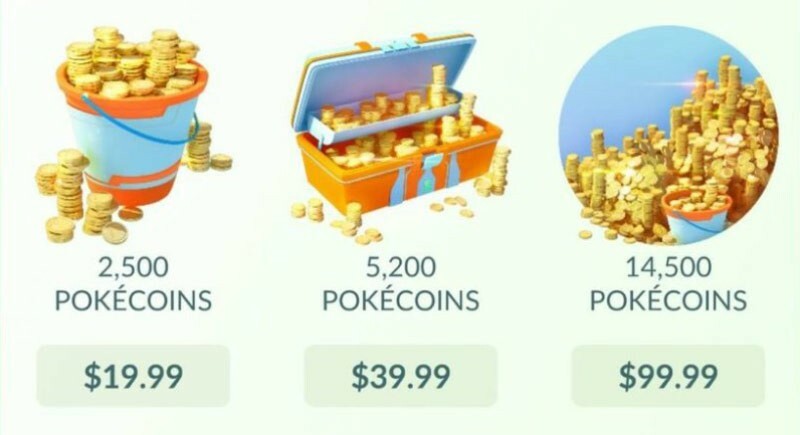 Coins are the only element of the game that can be purchased with real-world currency; you cannot buy stardust, Pokémon candies, or evolution items. The list of "rare" Pokémon varies greatly depending on where you are located, but there are a few that are generally considered to be rare. Pokémon like Dratini, Dragonair, Dragonite, Lapras, Chansey, Blissey, Gyarados, Porygon, Unown, Snorlax, Aerodactyl, Larvitar, Pupitar, Tyranitar, Feebas, Milotic. Lotad, Lombre, Ludicolo, Trapinch, Vibrava, and Flygon, are typically considered the rarest, though some appear more commonly in some areas. Beginning January 2018, each month has featured one Pokémon for three hours in a Community Day. During that window, the designated Pokémon appears everywhere. If you evolve the Pokémon all the way up to its ultimate form within that window, that Pokémon will know a move exclusive to the Community Day. In addition, shiny variants of the featured Pokémon spawn more frequently, giving players a chance to nab an extremely rare version of the featured monster. 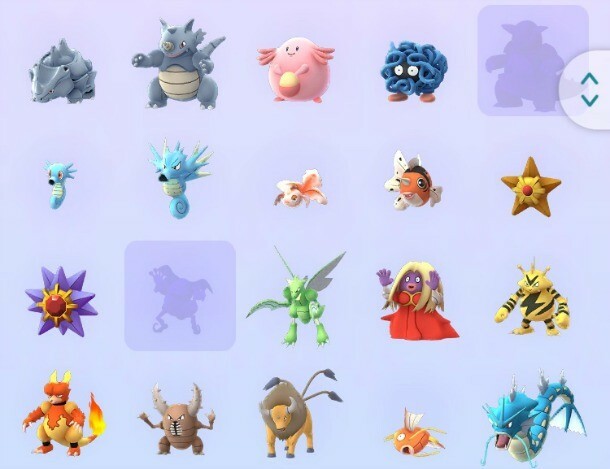 You can see which Pokémon have been featured during Community Day below. What are "shiny" Pokémon and how do I get one? Shiny Pokémon are different colored versions of existing creatures. They don't include any kind of special stat boost or exclusive moves, but they look different. Shiny Pokémon are typically extremely rare, but they are known to become slightly more common during certain events including Community Days. When you evolve a shiny variant of a Pokémon, the evolved form will also be shiny and of a different color. In Pokémon Sun and Moon of the mainline games, players travel to the Alola region. There, you encounter Pokémon from the first seven generations of the series. However, some of the Gen 1 creatures found in Alola have distinct appearances, and different or additional types to the ones you find in other regions. 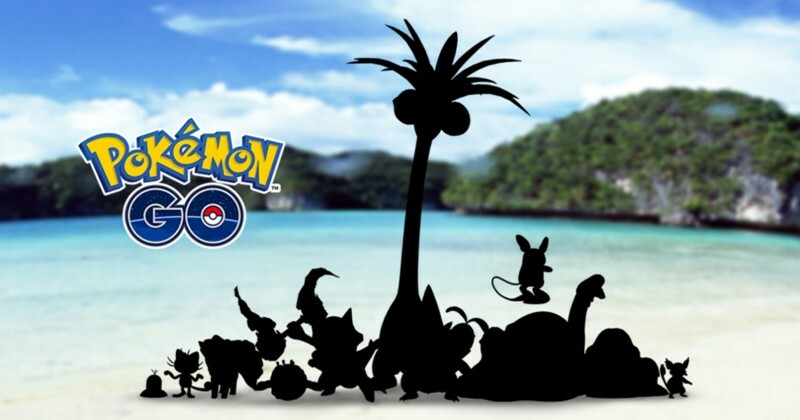 Beginning on May 29, 2018, Pokémon Go began introducing the Alolan variants of Kanto creatures into the game beginning with Alolan Exeggutor. With the introduction of trading and friend gifts on June 21, 2018, you can now receive special 7 km eggs from friends. These eggs can hatch Alolan variants of Kanto Pokémon. Some Alolan variants, such as Rattata, as able to be caught in the wild, while others, like Raichu and Marowak, are raid bosses. Check out the Alolan variants that exist below. Lucky Pokémon can be obtained through trading with friends. When a Pokémon arrives from a trade, it has a chance to feature a designation that it is a Lucky Pokémon. This means that it costs less Stardust to power them up. In addition, Lucky Pokémon often feature high stats. Lucky Pokémon have a sparkly background and appears as part of that Pokémon's Poké Dex entry. Before the Gen 2 Pokémon were introduced, all you needed to do to evolve a Pokémon was to catch enough of that creature to collect the right amount of candy. Since the introduction of the second generation of monsters, however, several Pokémon now require candy plus a special evolution item in order to get them to evolve. These evolution items are found at PokéStops, though they are much rarer than items like potions and Pokéballs. Your best bet to acquire one of these evolution items is to hit at least one Pokéstop every day for seven days in a row. 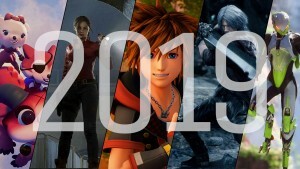 On the seventh day, the game awards you with a larger haul of items, increasing the chances of receiving a rare evolution item. Each evolution item works with a very specific set of Pokémon, which you can see below. There are currently four types of berries in Pokémon Go that are meant to help you with the capture of wild Pokémon. You obtain these randomly through activating PokéStops (with the exception of Golden Razz Berries, which can only be earned in Raids). The Razz Berry was originally the only berry in the game, but with the introduction of Gen 2 monsters, Niantic has introduced Pinap Berries and Nanab Berries. 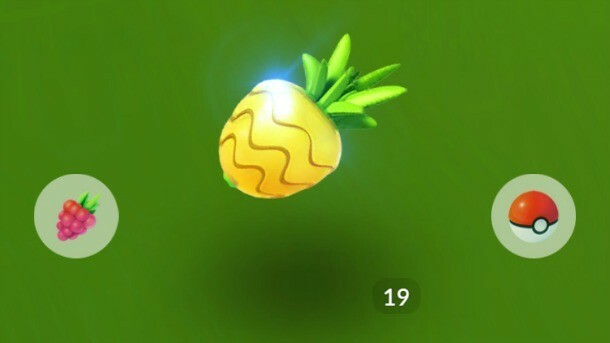 When Raids were introduced in summer 2017, Golden Razz Berries were also introduced. You can only feed one berry to a Pokémon at a time, but the effect wears off if the creature escapes from a ball. If you miss your throw, the effect does not wear off. See what each berry does below. What Pokémon aren't in the game? Can I trade Pokémon with friends? Initially teased in a September 2015 announce trailer, Pokémon Go finally introduced trading and a friends list in June 2018. Using your friends list, you level up friends with every interaction you have with them. The more you trade and send gifts with them, the higher your in-game bond with that friend is. The stronger your bond with a friend on your list, the less stardust it costs to trade with them. To trade, you must be in-game friends with the trainer you hope to swap with. While you can send gift packages you receive from Poké Stops to any trainer you're friends with, you must be within 100 meters of a trainer you want to trade with. Trades that involve Legendary Pokémon, Shiny Pokémon, or Pokémon not in one of the players' Pokédex is considered a Special Trade. In addition to costing a lot of Stardust (sometimes as much as 1,000,000 for low-level friends), you can only execute one special trade per day. This means you're finally able to get those regional monsters without traveling, but it's going to cost you Stardust. When you swap Pokémon, they sometimes bring bonus candy with them. The further apart the Pokémon were caught from each other, the more candy they bring. This distance bonus maxes out at around 100km. Stats, such as CP and HP, change when a Pokémon is traded, so just because you send someone a strong Pokémon, that doesn't mean it'll be as strong when it arrives in their inventory. Can I battle other trainers? 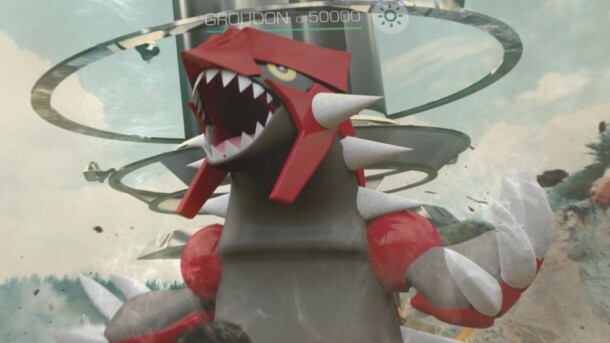 Another feature teased in the September 2015 reveal trailer, battling was finally implemented in Pokémon Go in December 2018. You can challenge friends to battles regardless of their locations. Once you select a friend to battle, you must choose a league. Great League limits maximum CP to 1,500 per Pokémon, Ultra League limits max CP to 2,500, while Master League has no CP limits. Each trainer brings three Pokémon into a battle. Once the battle starts, it plays out much like a raid or gym battle. 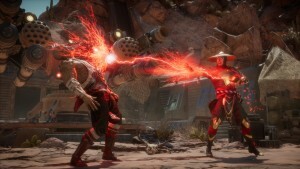 The biggest difference is that you can choose to use a limited number of shields in response to your opponent's use of their charged attack. 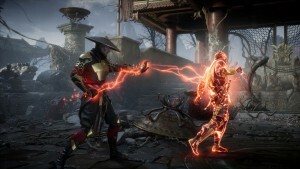 To warn your opponent of an incoming charged attack, you must mash the screen to "charge" your stronger attack. In addition, using candy and stardust, you can also teach your Pokémon new attacks to diversify their abilities. You can participate in unlimited battles, but you only receive rewards for your first three each day. The rewards range from stardust to Sinnoh Stones. Pokémon Go Plus is an external device that links to your phone to let you passively play without having your phone open. 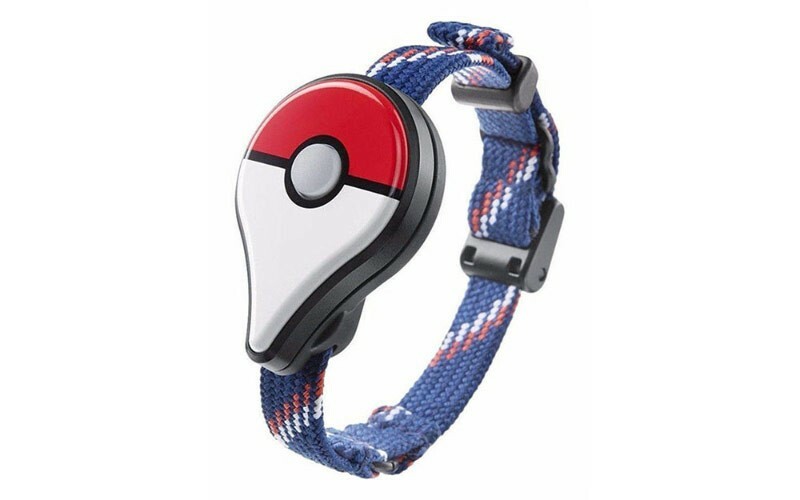 It tracks distance for eggs and buddy candy, and even lets you catch Pokémon. 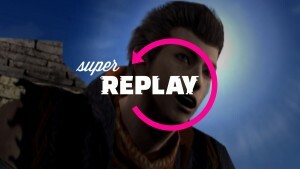 You can read our full impressions here. Unfortunately for iPhone users, the device has had several issues since the release of iOS 11. Another way to play Pokémon Go without having your phone constantly open is if you own an Apple Watch. Using the Apple Watch app for Pokémon Go, you can earn distance using the watch's pedometer, meaning you can earn distance doing stationary exercises, and get alerted of nearby Pokémon and PokéStops. Unfortunately, the app has stability issues, which you can read about here. In addition, the Poké Ball Plus accessory launching alongside Pokémon: Let's Go, Eevee and Pokémon: Let's Go, Pikachu for Nintendo Switch this November functions as a Pokémon Go Plus in addition to its controller functionality.